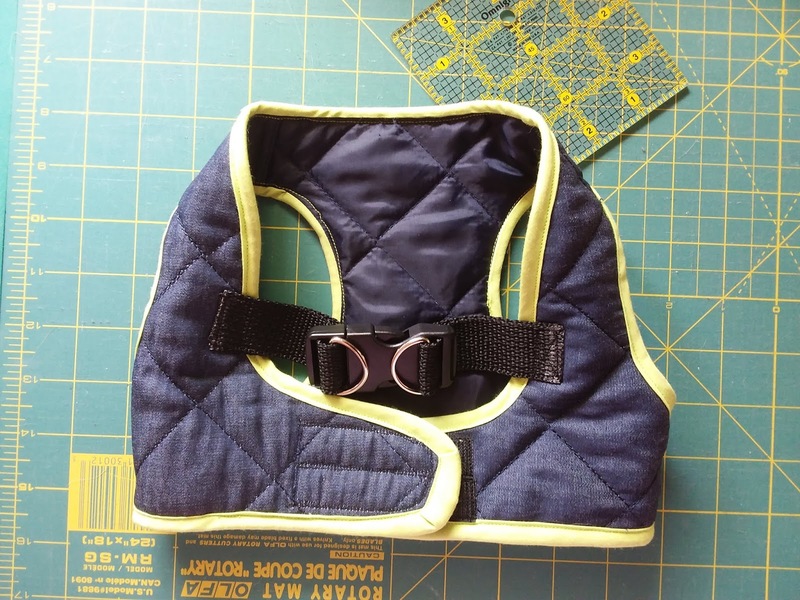 Just finished a new walking vest for Maxwell! Here's the list of projects that need to be finished before the new year. 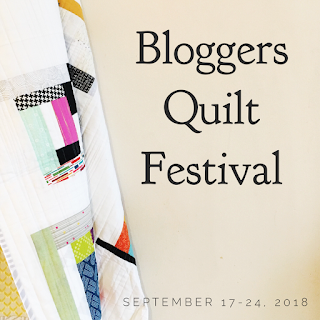 Linking up with She Can Quilt, for the 2018 Finish Along, 4th quarter. 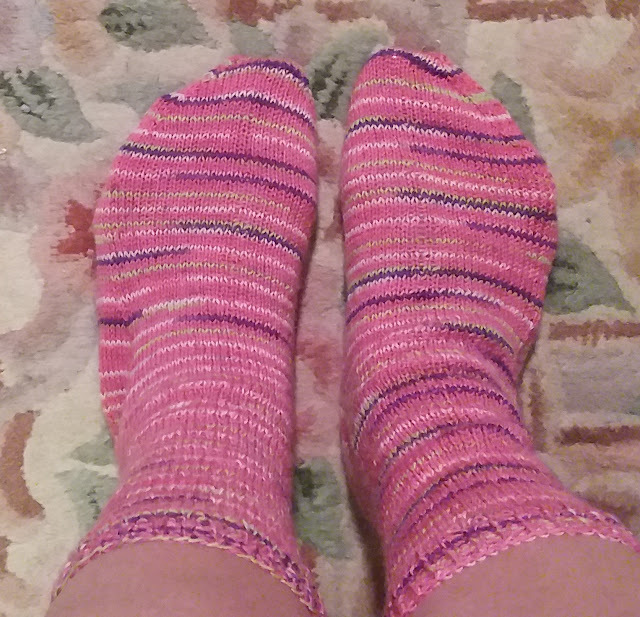 My first pair of knitted socks! They were knitted on double pointed needles. The pattern was found on the back of the yarn label. I think I'll try the next pair on circular needles. 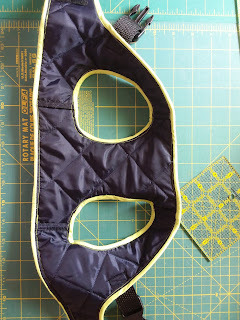 Does anyone have any suggestions on how NOT to bind on stitches TOO tightly? I use the two strand method but invarariably, the first row is tight with no give. Any comments to assist would be very helpful! Started in 2017 - finish in 2018. 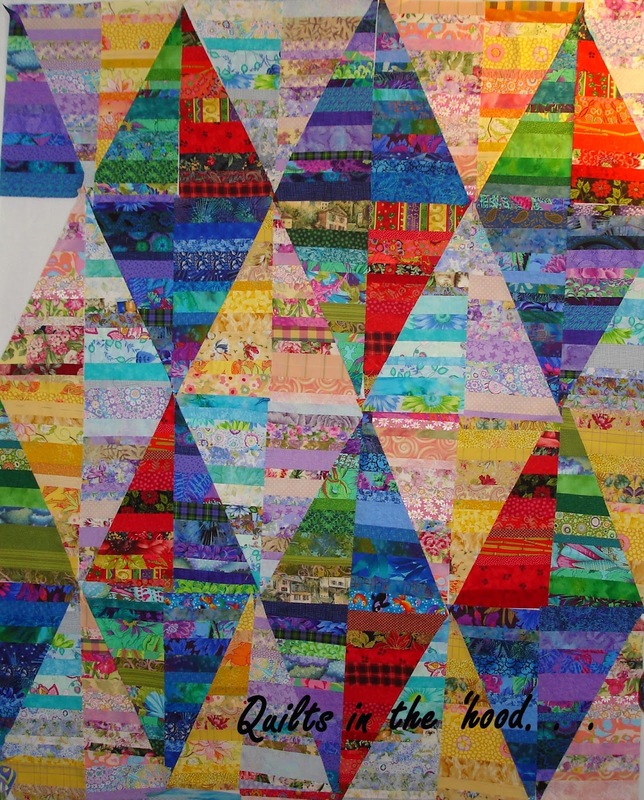 Linking up with crazy mom quilts. 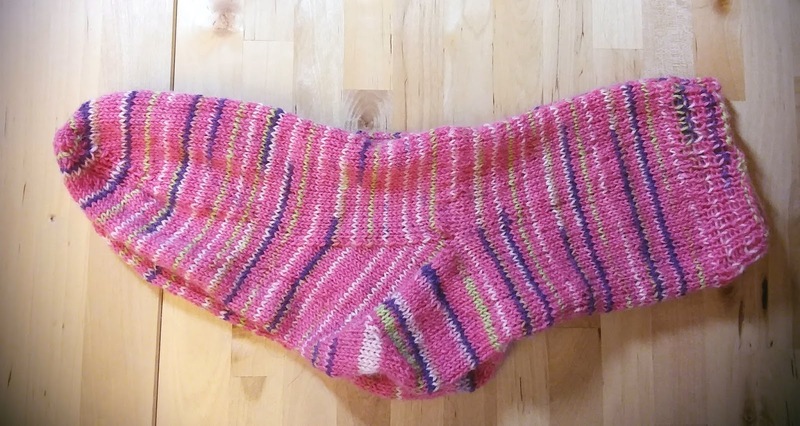 This has been one of my favorite patterns since the book first came out in 1996. 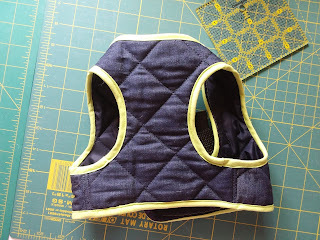 I can not believe it has taken this long to work on this pattern. I hope This will be the first of many that will be created. 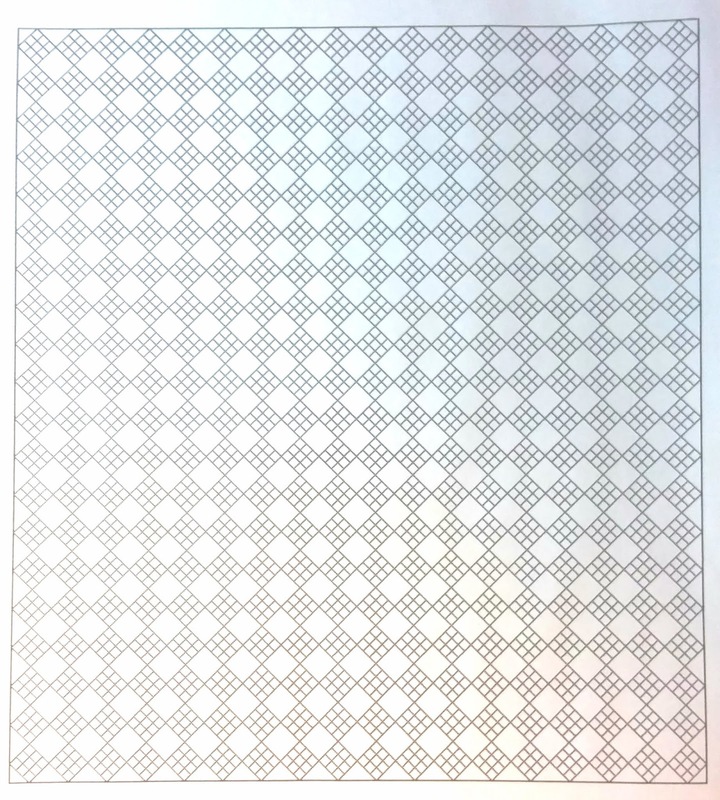 I drafted a black and white page on E Quilt and then colored it in with the colors I had chosen for this quilt. Unless you're able to cut out all the strips and blocks at one time, the books colored layout can be a bit confusing. This way I am able to follow the layout based on my colored rendition. The baticks really blend - I'm looking forward to see the final product. 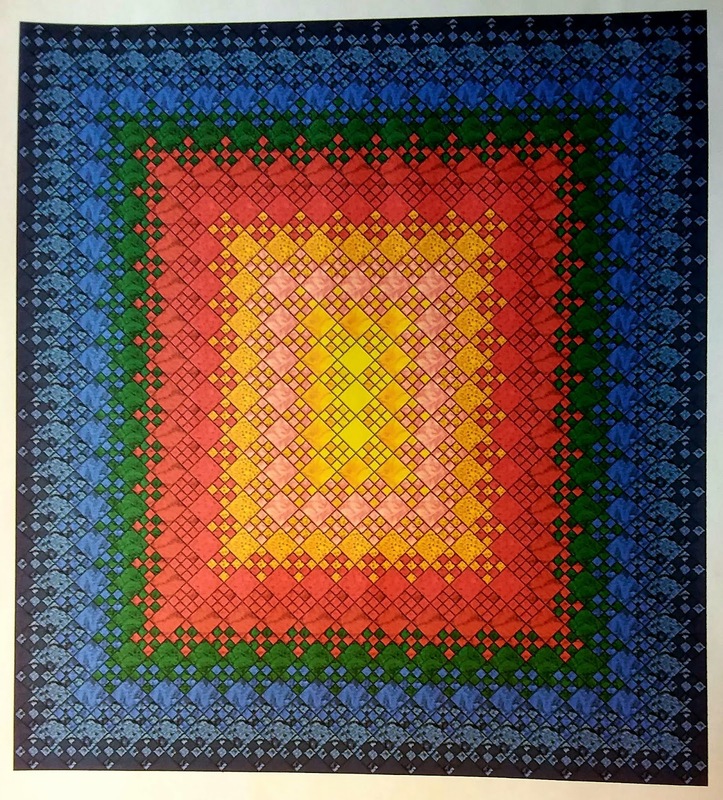 This was a block of the month i purchased from our local quilt shop. I think I completed it in record time. I started in February of this year and finished in time for the South County Museum Quilt Show this month. I just love the colors. 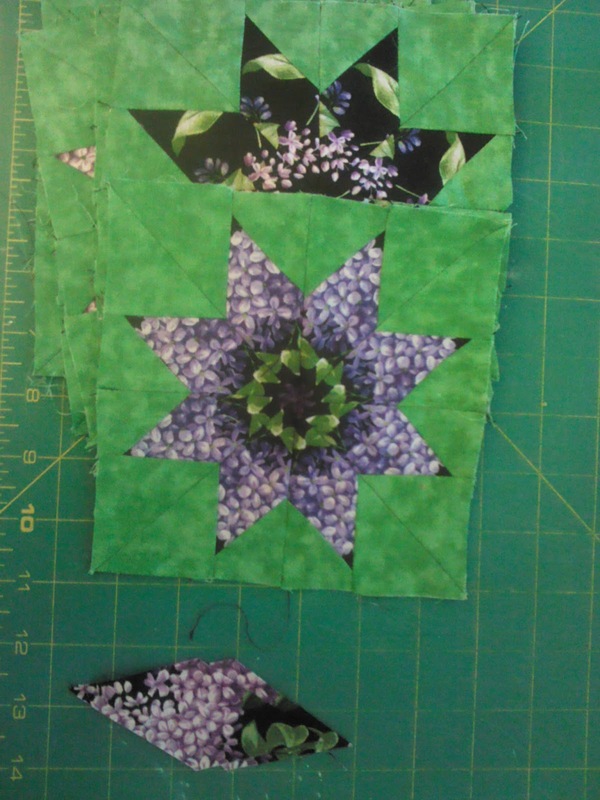 The block of the month kit included additional star blocks for the center medallian. 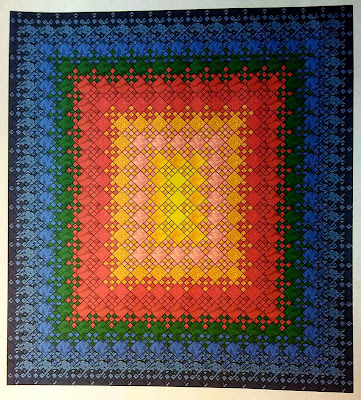 I found the matching panel in the center in a quilt shop in Florida. 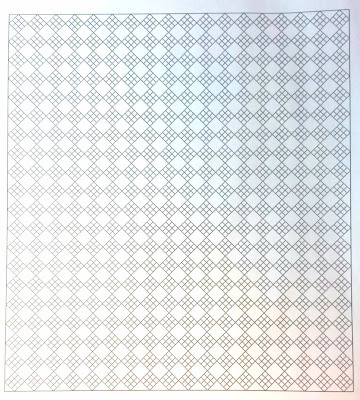 Although this is the first time I've used a panel, I do like the effect created. It imparts the tranquil sense of Monets garden. 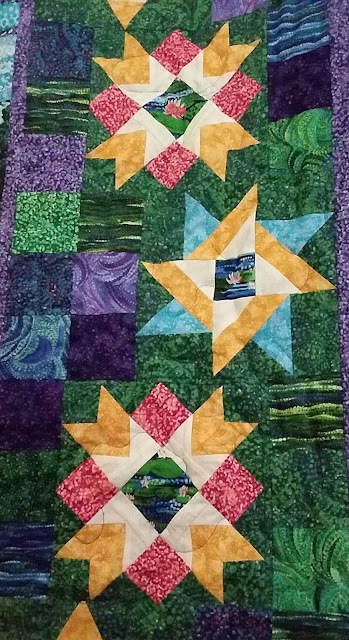 This is the second finish I was able to complete for the 3rd Quarter of the 2018 Finish Along as hosted by Leanne at she can quilt. Here is the link to the ambitious list I started the quarter with. Made with lots of scraps! 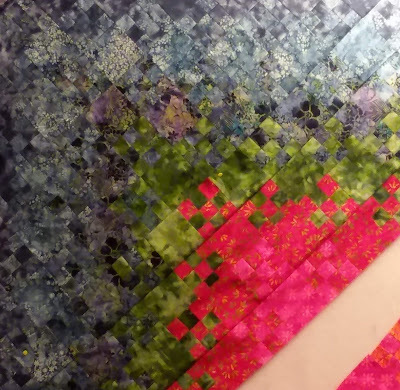 Trying to organize my scraps that are smaller than a fat quarter, I decided to cut them up into usable strips and squares. If the scrap was longer than 12 inches I cut strips, usually 2.5 inch in width by the length of the scrap. Then 1.5 inch and some 1 inch strips. 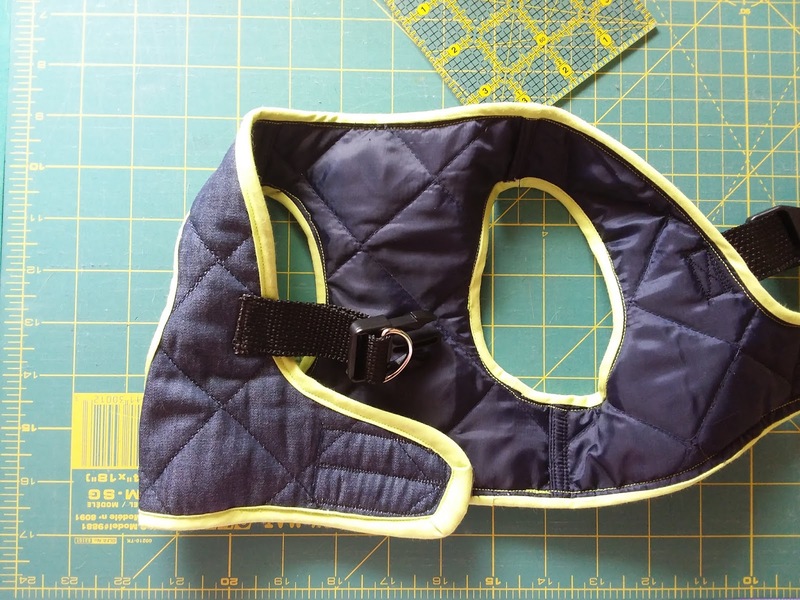 These are good for creating blocks or for borders. The strips that are smaller than 1 inch are put aside for donation to my quilt guild. 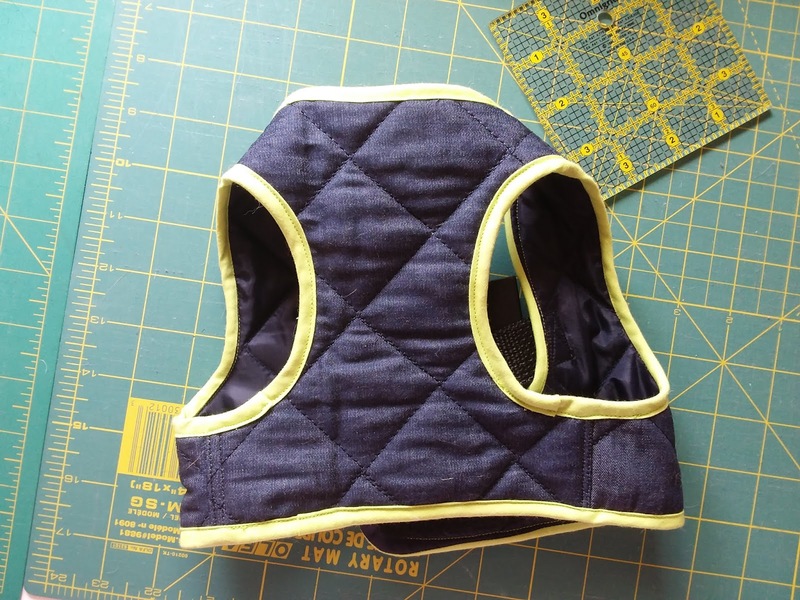 If the scaps are less than 12 inches in length, I cut squares. Starting at 5.5 inch squares and then moving down to 4.5, 3.5, 2.5, 2, and 1.5 inches. 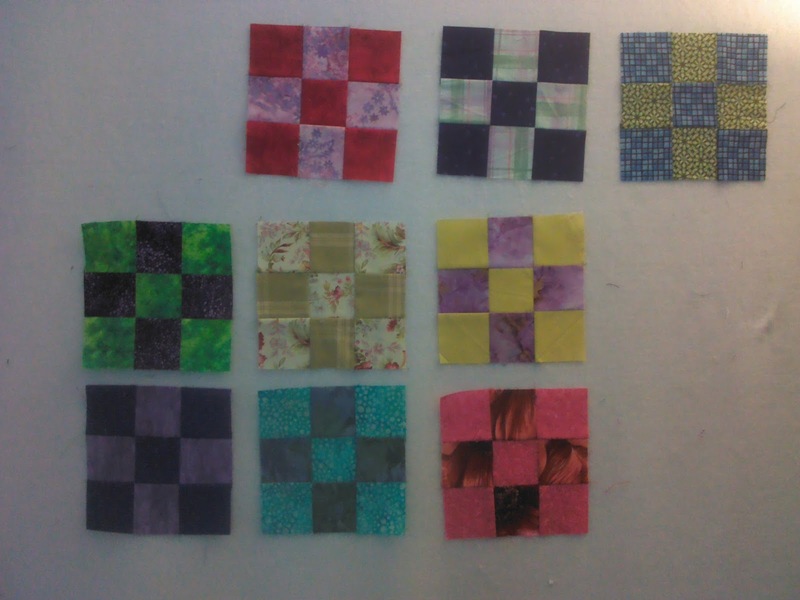 For the 2.5 inch squares, I grouped them in 2's, 4's and 5's into separate bags for 9 patches and 4 patches. The rest were placed into a separate container and will benefit from being sorted into light and dark or low and high contrast. I don't have a great many of the 5.5 inch squares so there is no plan yet for that size. The smaller squares are grouped by size only and will be used for something scrappy. Its easy to grab a few of the small squares and sew 2 together and then into 4 patches as a leader and ender project while working on another quilt. The following quilt started with the 2.5 inch group of 5's and 4's at January's Quilt Weekend earlier this year. I completed lots of the 9 patches. They all came together with my favorite white polka dot fabric for the lattice. Then it was all bordered with the variable width strips sewn into a piano key like border in rainbow colors. 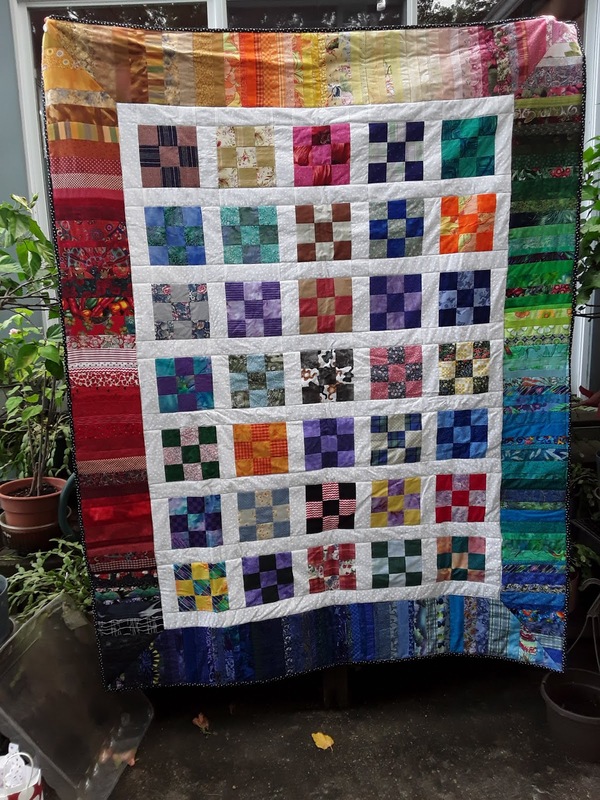 This quilt now has a home. It has been gifted to my niece's best friend for her high school graduation. During the school's award night, she and I both appeared in black with white polka dots. She had on a dress and I had on a matching sweater. So of course the binding had to be black with white polka dots. 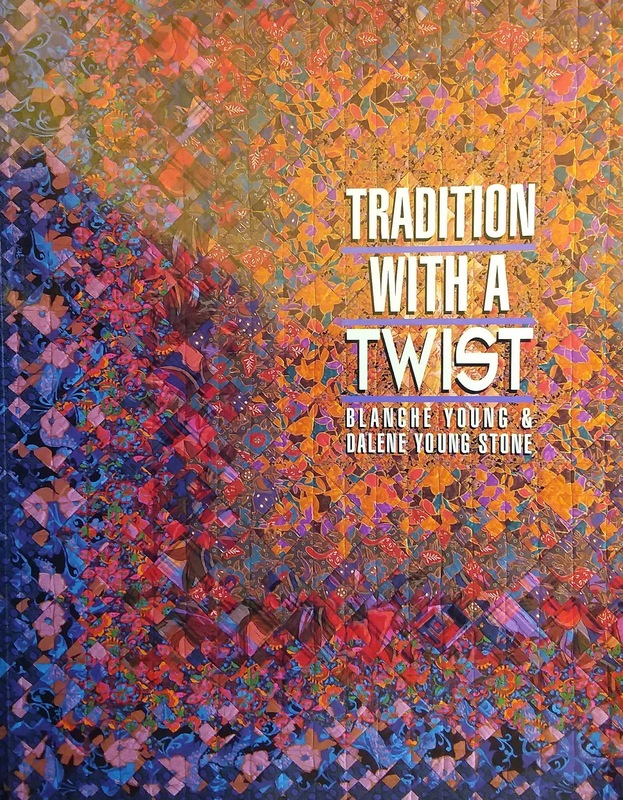 She has now gone off to college and is studying music. 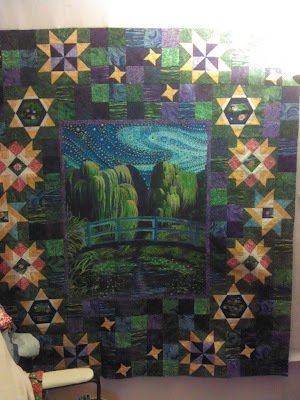 The backing of the quilt is black with G clefs for her major in music. I wish her the best of luck in her studies in her first year of college! 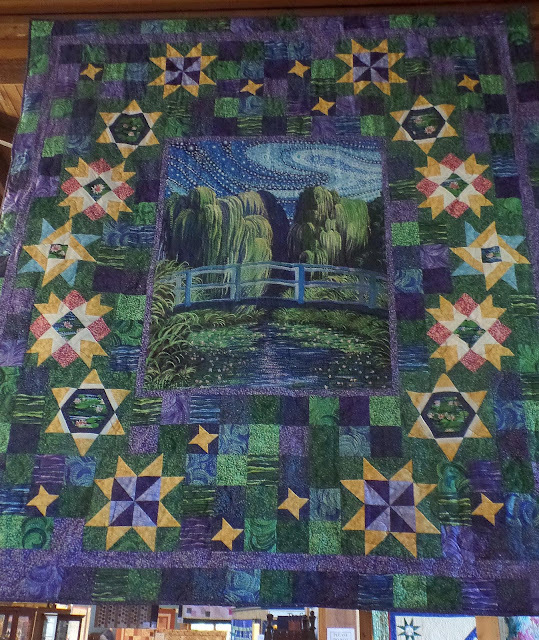 This is the first finish I was able to complete for the 3rd Quarter of the 2018 Finish Along as hosted by Leanne at she can quilt. Here is the link to the ambitious list I started the quarter with. 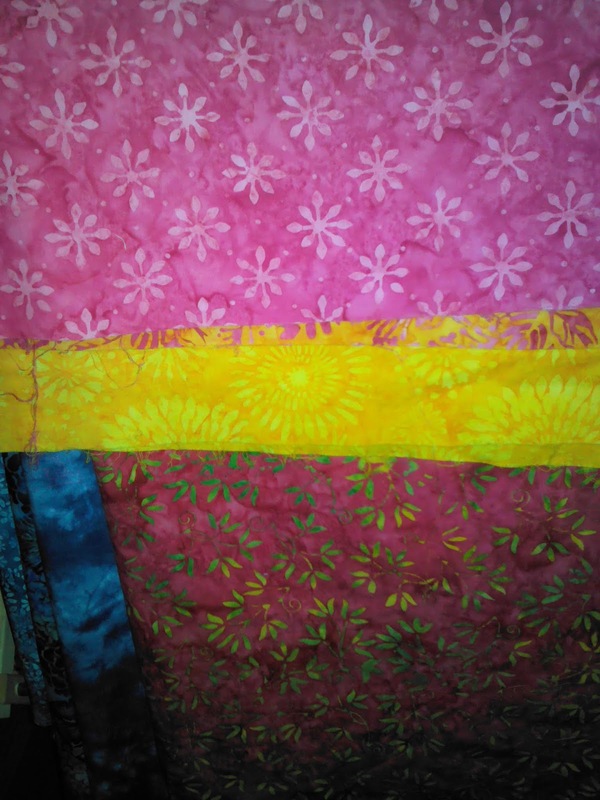 Quilts to work on. . .
2. 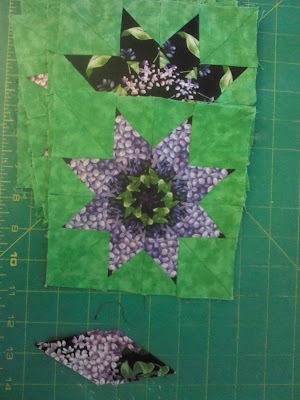 Blooming Nine Patch has been on my to do list for a long time. 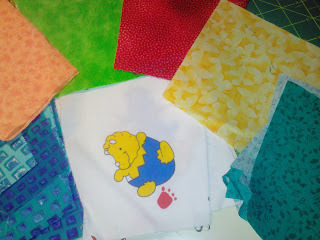 Finally the fabric is chosen and ironed and waiting the rotary cutter! Short list for this quarter but do-able! 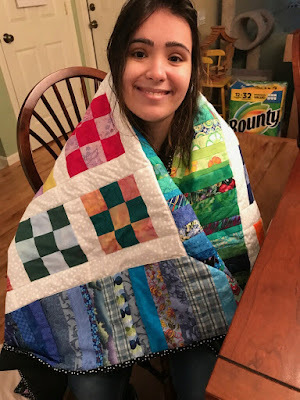 Linking up with She Can Quilt for the 2018 Finish Along, 3rd quarter.